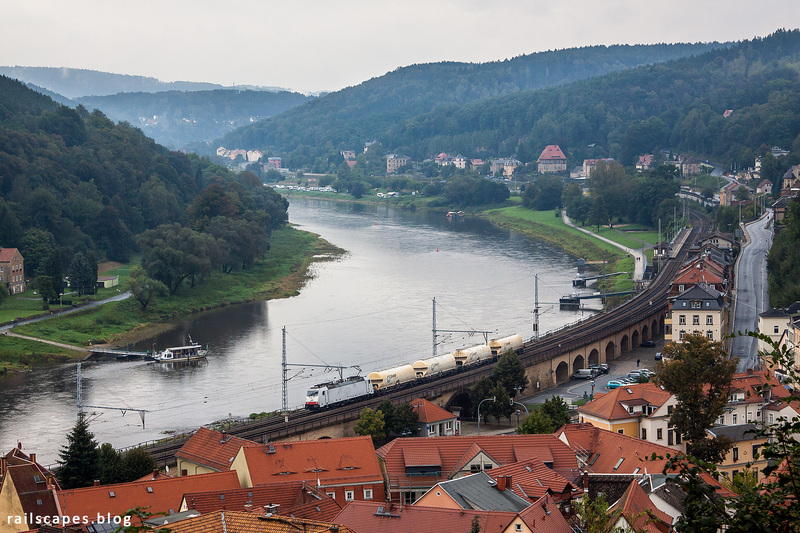 One recommendation when visiting the Elbe valley: try to avoid using a car. Roads that aren’t accessible and few parking spots give the car driver a hard time. And spots like this one are easily missed. It has been on my wishlist for a while, and I knew approximately where I needed to be… but had some difficulty locating it exactly. WIth a bicycle I would have easily spotted the small path next to a house and have had no trouble parking the vehicle. Anyway, yhe hike up the mountain felt awesome and I enjoyed the view. I chose to show a photo of this short train because it also includes the ferry, about to cross the river.